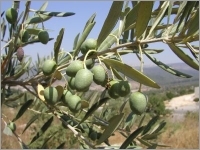 Native to Asia and Syria, but mostly cultivated in Mediterranean countries. Very popular bonsai tree. 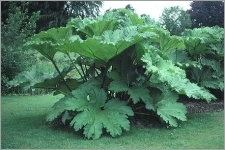 If left to grow naturally, it reaches 25 feet tall. The tree is usually multi-trunked and can be raised as a single trunk. It can develop an aged appearance rather quickly. His gnarled trunk and white bark are exceptional features. Evergreen tree with grey-green leaves that are silvery underneath. It produces flowers on second year's branch growth. Tiny white fragrant flowers appear in late Summer, which as the plant matures develop into edible olives. The fruit start off green and slowly mature to purple. To encourage fruiting, keep at 35°F for several weeks during Winter.